They came in three major waves, flowing from Europe. Chicago held the second largest population of Polish people in the world behind Warsaw. On December 5, 2013, the intersection Division Street, Ashland and Milwaukee Avenues was officially named the “Polish Triangle.” Although today, the Polish Triangle doesn’t resemble the Polish culture, which has died out. “I remember seeing the old vibrant photograph and I compare it to now… yes I do get sad a little bit,” said Julita Siegel, 39, who lives in Elk Grove Village and works as a photography correction curator at the Polish Museum of America. These photographs exist in the three elaborate levels of this museum. 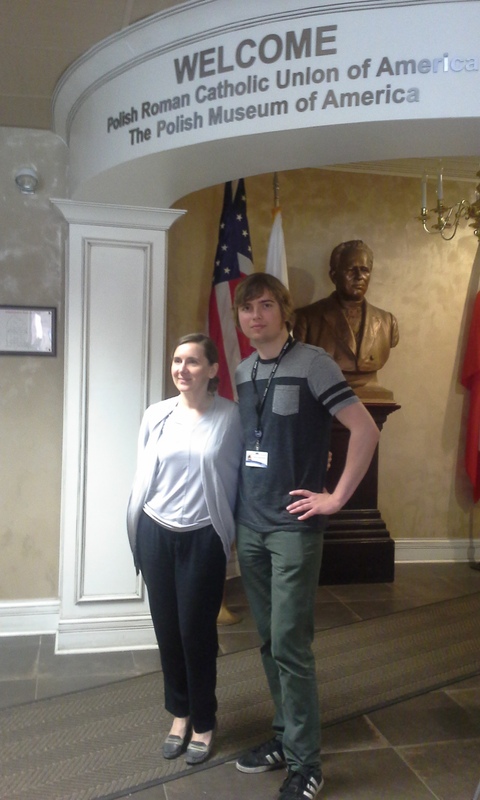 Adam Aksnowicz, 22, lives in Arlington Heights and is a docent and a collection care assistant for the museum, explained how there were three different waves of Polish immigration to Chicago. The first wave was the largest in the 1870s due to the Franco Prussian War. The second wave was WWII and the nazi take over of Poland. The third wave was because of the “Solidarity” immigration as a result of the martial law in Poland in 1981. But Why Chicago? Aksnowicz explained that during these mass immigrations there was a lot of work in Chicago with its steel mills, stockyards and railroads. Polish came and created their own town and comfort zone within Chicago. Although now this Polish Triangle has change drastically and is more seen as a melting pot.